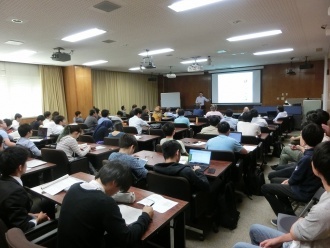 The City College of New York (CCNY) and Kyutech held the second workshop of “Robotics and Computer Science: toward continued collaboration between CCNY and Kyutech”at Kyutech Iizuka campus on June 18 and 19. 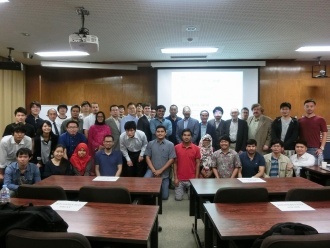 Last September, the first workshop was jointly planned and organized by Department of Computer Science, the Grove School of Engineering of CCNY and School of Computer Science and Systems Engineering of Kyutech at CCNY, which success led to the second one this year at Kyutech as two-day workshop with 15 oral sessions by the faculty from both universities and 19 poster sessions by Kyutech students. The workshop aims to explore the possibilities of application of computer science technology to robotics and the collaborations between both universities. 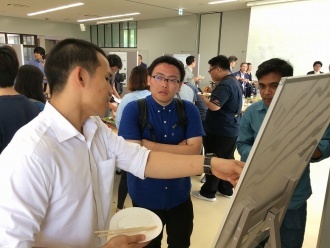 The presenters from various study fields introduced their research, such as robot control, embedded systems, networks, imaging, data visualization and web security, and the participants had active Q&A sessions and exchanged opinions. 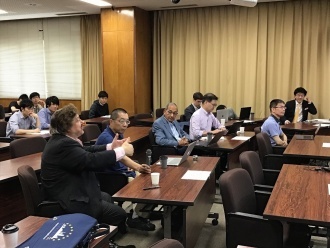 Following the success of the workshop, CCNY and Kyutech started to explore new ideas for academic exchanges and cooperation, expecting the expansion of the collaborations between both universities.